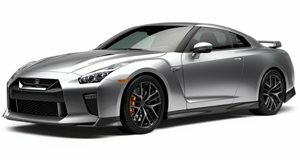 The 2017 Nissan GT-R is available in either 565 hp Premium and Track Edition trim or a full-fat 600 hp Nismo edition. All-wheel drive and a 6-speed dual-clutch transmission are standard and so is ballistic acceleration. 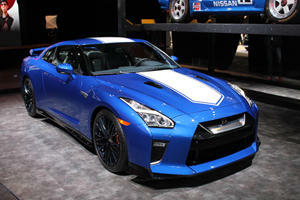 A new 8-inch infotainment system includes smartphone and Bluetooth compatibility while an adaptive suspension, titanium exhaust and stiffer chassis and aero dynamic aids on the higher trim levels keep the GT-R competitive in its segment. The current Nissan GT-R has been around now for almost 10 years, most other performance coupes that old would have wilted in the face of newer competitors but this is not so with Nissan’s feisty underdog. Years of detail changes and constant tweaking have kept the GT-R at the pointy side of the grid and 2017 is no different with more power and an upgraded interior being the most notable changes. The GT-R features a refreshed interior with larger infotainment screen and fewer buttons as a result. Most surfaces are covered in leather or soft-touch plastics and while it may not be all that cutting edge styling wise, the overall feel of the cockpit is pleasant enough. Other than the new for 2017 infotainment system, the shift paddles have moved to the steering column. The driver and front passenger have well-bolstered seats with numerous adjustments to ensure they can find the ideal seating position. While most of the GT-R’s competitors are strictly two-seaters, the Nissan offers a set of tiny rear seats. Legroom is basically non-existent though and as there is no fold-flat bolster so they are best used to supplement the small trunk space. 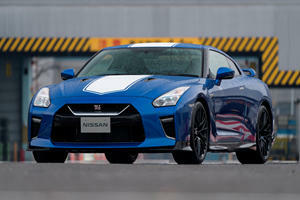 Criticized at launch for being a bit too anodyne, the GT-R has since been tweaked to offer far more driver engagement. In fact, with its transmission whine, busy suspension sounds and general noises emanating from the engine bay, the GT-R feels more like a track day toy than a road-going sports car. It still offers a point and shoot approach to going fast and few would guess at the heavy curb weight judging from the way the GT-R accelerates and turns. It generates an immense amount of grip in corners and its capabilities are seldom called upon outside of a racetrack environment. The ride is firm and some newer competitors offer similar grip levels without compromising on comfort levels but the GT-R remains an impressive machine. The 2017 GT-R is powered by a turbocharged 3.8-liter V6 which in Premium and Track Edition trims produces 565 horsepower and 467 lb-ft of torque. Opt for the Nismo and you have 600 hp and 481 lb-ft at your disposal. A complex four-wheel drive system and 6-speed dual-clutch transmission are standard. In standard trim the GT-R offers supercar levels of off-the line acceleration. 0-60 mph takes not much more than 3-seconds and the way it charges through the gears at higher speeds leaves most competitors in its wake. 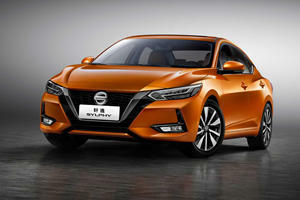 The more powerful Nismo offers much of the same, only turned up to 11 although its real benefits will be more apparent on the race track where its aero appendages and stiffer suspension can be fully appreciated. Fuel efficiency is not a top priority with the GT-R yet it still manages an average of 18 mpg in combined city/highway driving, commendable for such a powerful car. Available in Pure, Premium, Track Edition and Nismo trim levels for 2017, the GT-R comes with a comprehensive list of standard features. Notable items on the base Pure trim include adaptive suspension, 20-inch wheels, surround parking sensors, keyless ignition, LED headlights, heated and power front seats, leather trim, 8-inch touchscreen incorporation navigation and Bluetooth with smartphone compatibility. An 11-speaker Bose audio system with satellite radio and USB connectivity is also included. The Track Edition includes most of the above items and adds some Nismo tweaks such as an enhanced suspension, stiffer chassis, 20-inch light alloy wheels, black/red leather front seats and some unique interior details. The Top Nismo trim level has all of the Track Edition upgrades as well as some carbon fiber aero items, unique 20-inch alloys and the more powerful 600 hp engine. A Cold Weather Package offering all-season tires and a Premium Interior Package which includes hand-stitched leather front seat surfaces are the most notable available options. Thanks to some additional power and some suspension and chassis tweaks, the latest Nissan GT-R continues to offer a level of all-weather performance that eclipses some much newer and more expensive machinery. For 2017 the updated infotainment system adds some modernity to the interior too, so if the tight rear seats and hard ride aren’t a problem you should definitely have the GT-R on your shortlist.